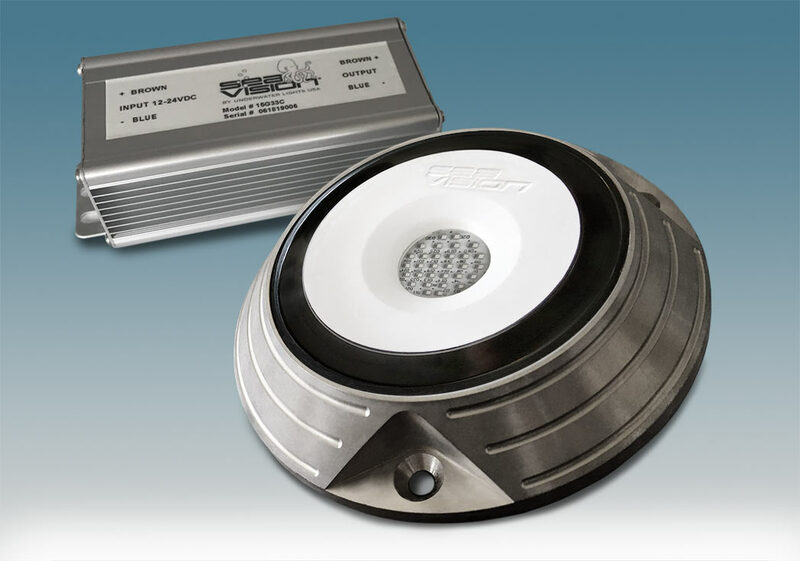 Sea Vision continues to innovate and perfect marine lighting by improving SV55 underwater lights with new electroless nickel coatings. This extra hard coating is bonded to the aluminum bronze housing which produces an exceptionally protective coating which is also aesthetically appealing. Testing has shown this improved coating reliably enhances and maintains the appearance of the lights on dry stored boats and protects underwater lights against marine growth and corrosion on boats kept in the water. Combined with an application of SeaClear antifouling to the lights as recommended, excellent protection from all marine growths will be obtained. Even better, these improvements have been incorporated into the SV55 LED Surface Mount Gen II without any price increases.